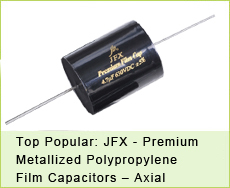 As you know, Plastic film capacitors and Aluminum Electrolytic Capacitors are our strong products. 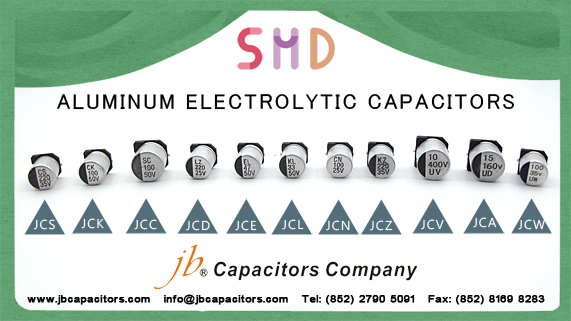 We also have SMD capacitors. With non-stop update our production. Our products range is getting wider than before. Are you tired of looking for products that have good quality with low price all the time? Can you still stand the long lead time? Do you think that is hard to find the stable supplier? jb is the one the answer to all your problem. Would you like to check your SMD inquiry then send to us? I will sure offer you the best price! Long Life Assurance, Load life of 2000~3000 hours. Long Life Assurance, Load life of 3000~5000 hours. 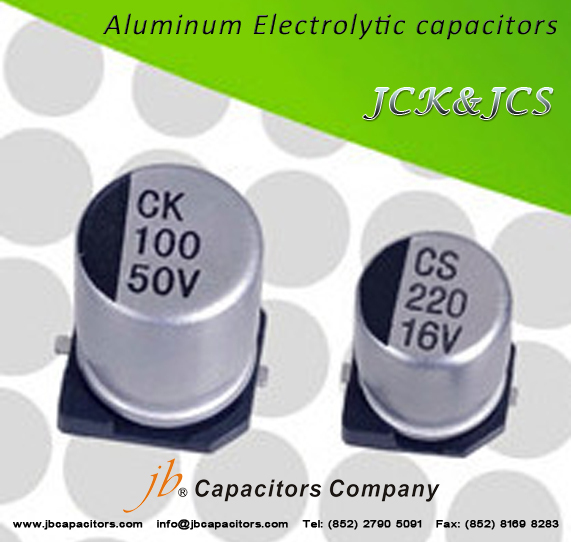 Are you looking for ISO qualified factory to cost down your capacitors business ? Or do you ever buy Epcos / Vishay/ Kemet Arcotronics big brands ? welcome send us their part numbers to cross. 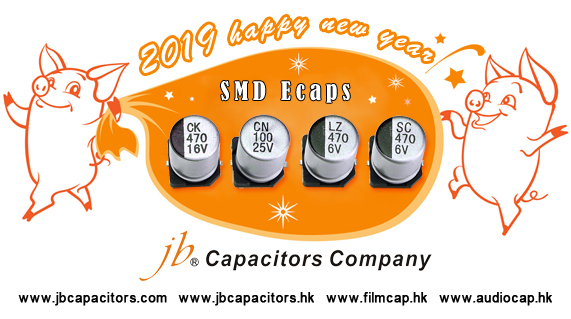 Two factories with full series of MKT, MKP Capacitors; JFV X2 MKP Film Capacitors, SMD Electrolytic Capacitors. Certifications for ISO 9001:2008, RoHS SGS, ENEC, VDE,UL. Cross references to Epcos, Vishay, Kemet, Pilkor, Wima, Panasonic, Nichicon, and Chemicon. Exhibitions : ElectronicaAsia HK Fair; Electronica Munich Fair; Expo Electronica Moscow Fair; FIEE in SP, Brazil. High quality, low prices, nice laser marking and good package. Professional engineer and sales services. 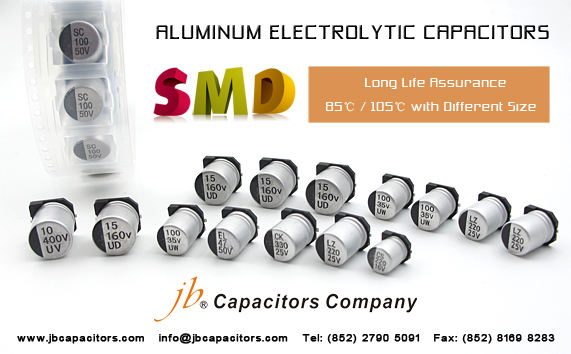 Do you want to cost down or shorter delivery for SMD Aluminum Electrolytic Capacitors ? they buy large quantity for set-top-box, amplifiers or other telecommunication industry. Please send me your inquiry or part numbers for quotation, ok ? 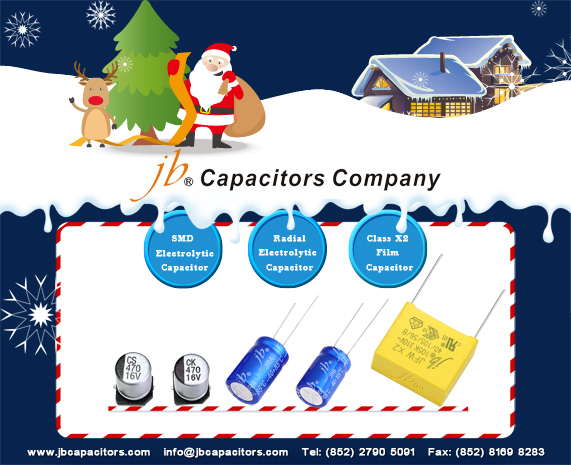 please contact: info@jbcapacitors.com thank you. 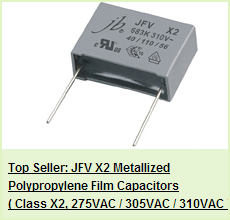 Focus on jb top seller---JFV-X2 MKP film capacitors with ENEC, VDE, UL safety approvals for all 275VAC, 305VAC, 310 VAC. 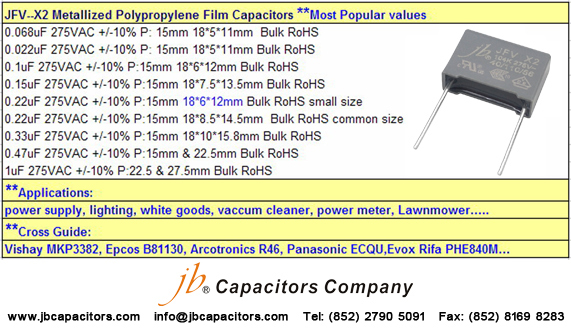 Welcome to visit jb at Electronica 2012, Booth No. : B6.437/5, 13-16 November, Munich, Germany! 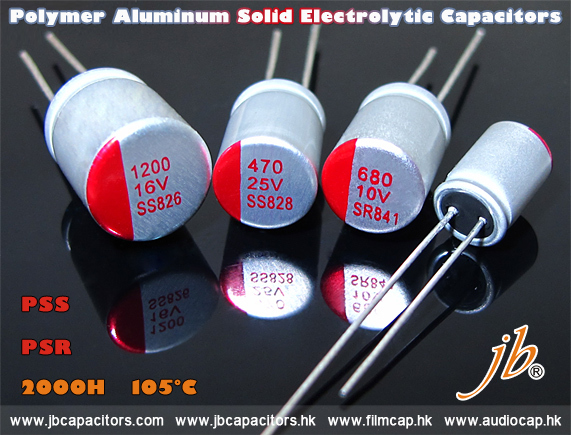 jb capacitors is old factory since 1980. manufacturing the film capacitors, SMD & Large Can Electrolytic capacitors. 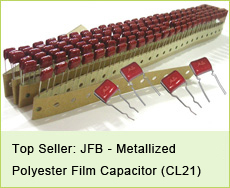 We have the best support on high quality, good prices and 4-6 weeks lead time for X2 film capacitors. Welcome to visit Electronica 2012, jb Booth No. : B6.437/5, 13-16 November ,2012, Munich, Germany.